What are the competing views on the Iran nuclear deal? President Trump is preparing to make a crucial speech later today on the Iran nuclear deal, which he is expected to disavow but not totally abandon. The agreement implemented by the five permanent members of the United Nations Security Council in July 2015 saw sanctions eased on Tehran in exchange for curbs on its nuclear activity. Before the deal was approved, Iran already had a large stockpile of enriched uranium and almost 20,000 gas centrifuges, which according to the White House archives was enough to create eight to 10 bombs. The deal forced Iran to reduce its uranium stockpile by 98 percent and its gas centrifuge stock from 20,000 to 6,104. Iran agreed to only enrich uranium up to 3.67 percent, which is well below the level needed to make a bomb. The agreement also prohibited Iran from using or building any more heavy-water reactors to produce plutonium for at least 15 years. What’s more the International Atomic Energy Agency (IAEA) inspectors were given more authority to monitor Iran’s nuclear program. IAEA inspectors had the power to inspect any site they deemed suspicious and if they found that Iran was evading the compromise, the UN, US and EU could snap back sanctions back into place. However, the deal did not get rid of all the sanctions. Here is a list of those that remained in place. Trump is expected to lay out a more confrontational strategy toward Iran. 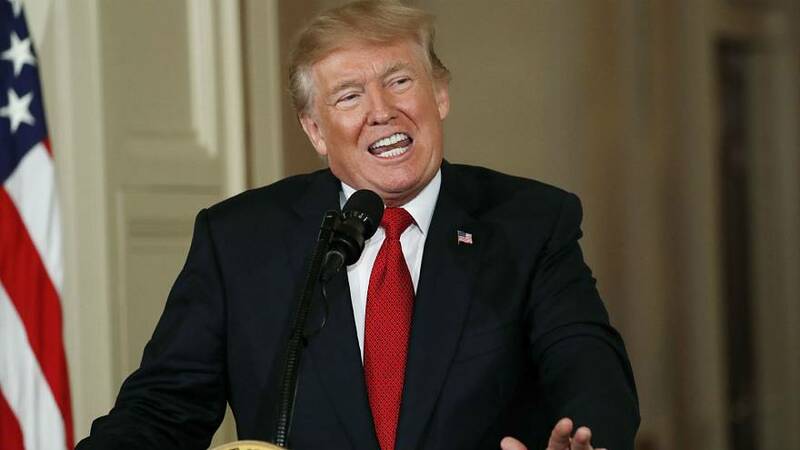 A White House press release said Trump’s new strategy on Iran would focus on neutralizing Iran’s destabilizing influence and constraining its aggression, particularly its support for terrorism and militants. Trump will likely de-certify Iran’s compliance with the 2015 accord, arguing the agreement does not serve US national interest. This move would not withdraw the US from the Iran deal but it would give Congress 60 days to decide to reinstate sanctions on Tehran. International inspectors say Iran has been complying with the accord but Trump claims Tehran is “violating the spirit of the agreement”. The remaining European signatories have made it clear they disagree with the Trump. The full version of the Iran deal can be found here.